I spent the evening tweaking my style a little. Trying out new ears and adding cheeks to forward perspective (okay so it’s more like 4/5 leave me alone!). 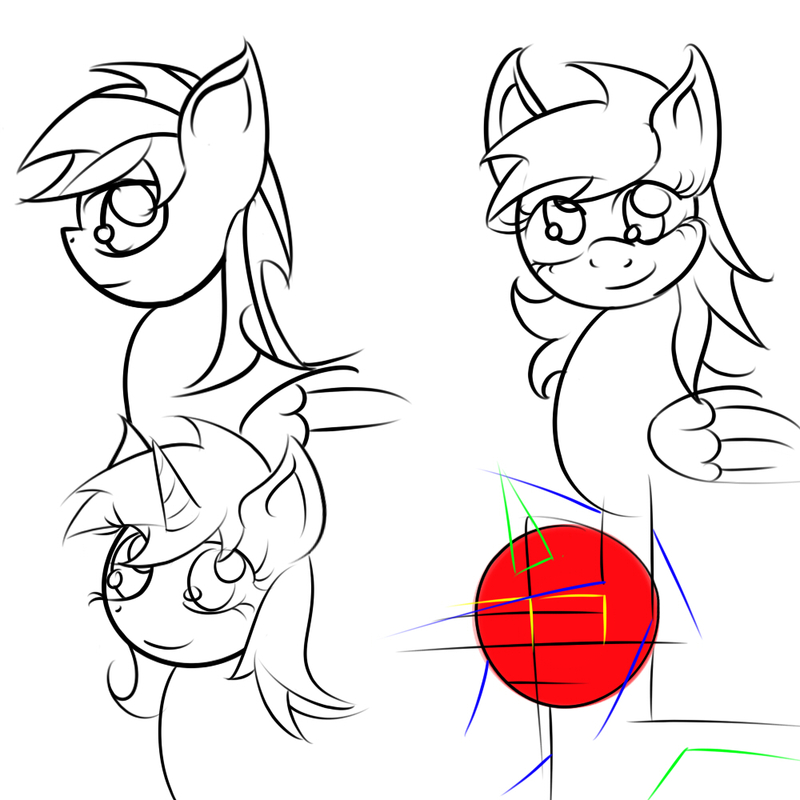 Also trying a new way to do 1/2 perspective rather than drawing a circle, adding the nose and swooping down to form the jaw; drawing a circle, carving the nose inwards and collapsing the forhead. Featuring Rainbow Dash, Derpy, and Lyra. That uh… thing in the corner is sort of a measurement base I made for fun, the red circle is what I based the initial head circles on. Anyone’s free to take that line thing and practice on it. Black is for body and ears, blue is hair, green is accessory (horn/wings), and yellow is eye.